>The term ‘arthritis’ literally means joint inflammation. The symptoms felt can depend on the underlying issue and cause. Arthritis can affect one joints or many, with many different types of arthritis having different effects on the body as well as the joints. Lots of patients are concerned about arthritis, particularly of the hip, knee, shoulder and wrists. An osteopathic examination can help put you at ease and reassure you as we give you lots of information and explanation about what’s happening, and if necessary, we can contact your GP with the findings from your examination incase imaging and further testing is required. Osteopaths help treat and reduce tension around joints themselves, improving movement and circulation. Surrounding muscles can become stiff and ache when there is joint pain or dysfunction and we can work with this to ease away your symptoms and give advice to help you take care of your joints and bone health. Hands on treatment is gentle and soothing and aiming to improve function at the joint and surrounding joints to take the pressure off and improve the health of the joint with a combination of treatment, exercise and advice. If you experiencing a joint flare up, we don’t always need to work on the joint itself; treatment to surrounding structures can help you feel freer and reduce symptoms. Osteoarthritis is the most common arthritis we see in practice and it is very common throughout the population particularly as we reach the ages of 40’s and over. Some people are more prone than others and experience osteoarthritis early on, especially if they already have underlying health or tissue conditions that affect their joints and soft tissues or a congenital joint condition. 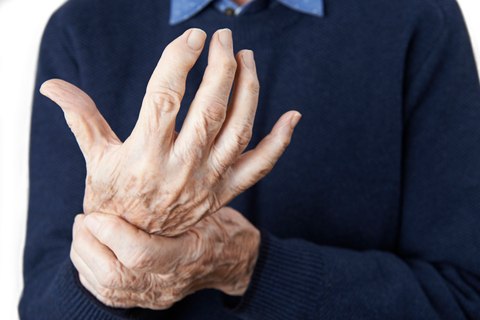 Osteopathic treatment for osteoarthritis can be really beneficial to prolong the joint health, circulation, mobility and strength with hands on work and advice.